Read the conference report (PDF). Watch talks and presentations from the conference. Delivering novel therapies in the 21st century is a two-day conference held by the Royal Society and Academy of Medical Sciences FORUM. Speakers will discuss recent scientific advances in therapeutic modalities and delivery. The meeting will also explore the infrastructure required to develop novel treatments and implications of these advances for policy and healthcare. Developments in areas including new immunotherapies, affinity reagents, bioelectronics, gene therapy and nanoparticle delivery will be considered within the broader context of personalised medicine, technology and data, regulation, value, access and care delivery. This open event is free to attend and is intended for those with an interest in the life sciences sector, from a variety of backgrounds including academia, industry, government, the NHS, as well as regulatory, charitable and other scientific bodies. Steve currently leads the Discovery Biology department at AstraZeneca with global accountability for protein and cellular reagent generation and assay development, target identification and validation and chemical biology. Prior to this Steve led the Screening Sciences and Sample Management department and successfully implemented strategies for hit identification, compound profiling, sample management and open innovation. Steve has led multiple international collaborations and has authored >60 scientific papers. 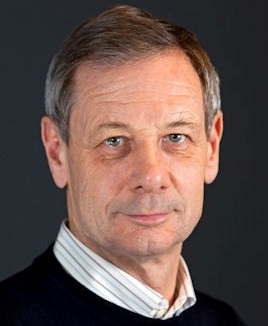 Steve is currently Chair of the European Laboratory Research and Innovation group (ELRIG), has served as Chair of the SLAS Europe Council, and is a member of the Scientific Advisory Board for Axol Biosciences, LifeArc and the Centre for Membrane Protein and Receptor Research at the Universities of Nottingham and Birmingham. John Skehel has provided major insights into the molecular basis of how viruses recognise and infect their host cells. John focusses on the virus that causes influenza, of which there are 3–5 million cases a year worldwide, resulting in up to 500,000 deaths. To infect a cell, the influenza virus must bind to a sialic acid-containing receptor on the cell surface, which it achieves through its own haemagglutinin glycoprotein. John was able to isolate, crystallise and subsequently determine the three-dimensional structure of this molecule. He also observed that under conditions of low pH, haemagglutinin changes shape — allowing the virus to fuse with and enter the cell. John has been a leader in virology research for over thirty years. He headed the WHO Collaborating Centre for Reference and Research on Influenza between 1975 and 1993 and was the Director of the National Institute for Medical Research from 1987–2006. His pioneering research was recognised in 1996 when he received a knighthood. Sir Robert is currently Provost and Senior Vice-President (Health) at King’s College London, and Executive Director of King’s Health Partners. He is a strong advocate of the Academic Health Science Centre model of university-healthcare partnerships. His clinical and research career have been focused on the pursuit of clinical transplantation tolerance. He worked in in vitro and in vivo rodent models. More recently he has helped to define biomarkers of clinical tolerance and is now helping to lead first in man trials of cell therapy to promote immune tolerance in recipients of kidney and liver organ transplants. Sir Robert has published over 200 papers in this field, led an EU consortium, and was awarded the Novartis Established Investigator Award by the American Transplant Society. 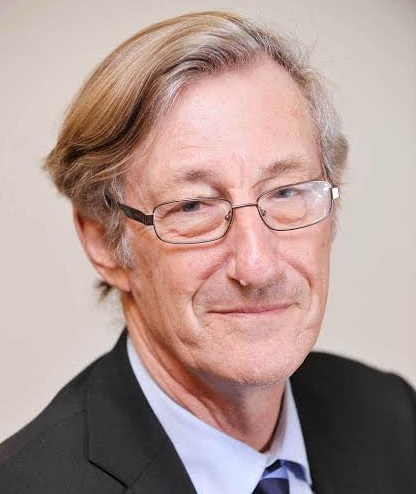 In addition, Robert is a founding member of MedCity which fosters the South East England life sciences cluster, has served on the Mayor of London’s Health Board and was a Trustee and member of Council of the British Heart Foundation from 2010 – 2016. Opening keynote: How do we make every promising drug target druggable? The majority of today’s medicines are based on small molecule, protein or monoclonal antibody platforms. With an ever increasing need to better understand complex disease biology we need our scientists to be able to prosecute the best validated targets even if they are viewed as traditionally intractable from a traditional drug discovery perspective. Exploring novel drug modalities which complement existing strengths in small molecule and biologic platforms has the potential to open new therapeutic options. Over the past few years we have made significant progress across seven additional drug discovery platforms, complementing existing capabilities in chemistry and protein engineering. 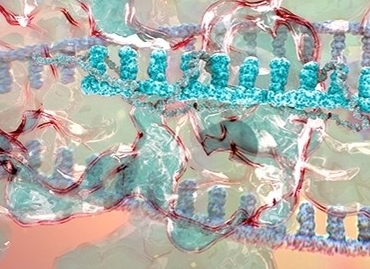 These include modified mRNA therapies, antisense oligonucleotides (ASOs), oligonucleotide conjugates, bicyclic peptides, proteolysis targeting chimeras (PROTACs), anticalins and CRISPR. By combining our distinctive skills and technologies with those of our partners we are accelerating our goal to bring new medicines to patients in areas of high unmet medical need. 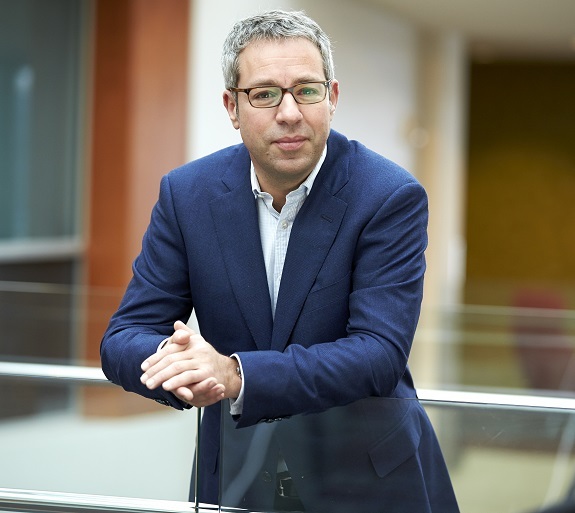 Mene Pangalos, is Executive Vice President of AstraZeneca’s Innovative Medicines and Early Development Biotech Unit and AstraZeneca’s Global Business Development. A member of the company’s Senior Executive team, Mene has overall responsibility for AstraZeneca’s research and early development activities spanning three continents and 2500 people. Since joining AstraZeneca in 2010, Mene has been instrumental in transforming the company’s commitment to science. He has led the transformation of R&D productivity through the development and implementation of the “5R” framework; driven greater collaboration with academic, NGO and peer organisations; pioneered programmes to promote more open innovation and fostered a science driven culture that rewards truth-seeking behaviours. As one of AstraZeneca’s leading scientists, Mene has published over 145 peer-reviewed articles in scientific journals and has served as editor of a number of books and journals. Mene is also a leading figure in UK science. He is a Fellow of the Academy of Medical Sciences and of the Royal Society of Biology. He is a Visiting Professor of Neuroscience at King’s College London and is a Fellow of Clare Hall at the University of Cambridge. Mene is a Board member on the Medical Research Council (MRC) and Remuneration Committee, the council for the National Centre for Universities and Business, and is a Board member of the British Pharmaceutical Group. Other Boards of which Mene is a member include the Judge Business School, Cambridge University, the UK National Genomics Board, and the Board of Dizal Pharma a privately owned Chinese biotech. Mene is the holder of an Honorary degree of Doctor of Science from Glasgow University. Mene is also overseeing the creation of AstraZeneca’s new £500 million research centre in Cambridge - a state of the art facility designed to stimulate collaborative scientific innovation and which will play an important role in the future success of the UK life science industry. The vast majority of small molecule drug discovery projects explored by medicinal chemists to date have targeted protein function, predominantly although not exclusively by blocking activity. Typically leads are defined from high throughput screens and structure or substrate based design all of which are biased towards active site binders. The past decade has seen the emergence of a number of technologies that are beginning to challenge this practise. I will review progress in 3 areas during the presentation. Namely, encoded library synthesis and screening that massively increases the number of compounds that can be evaluated in an unbiased binding mode, the emergence of small molecules that program protein targets for destruction and finally the evolution of chemical biology tools and technologies for assigning mode of action to cell based screening hits. These technologies are poised to fundamentally change the landscape of application of small molecule drug discovery adding new mode of action options. 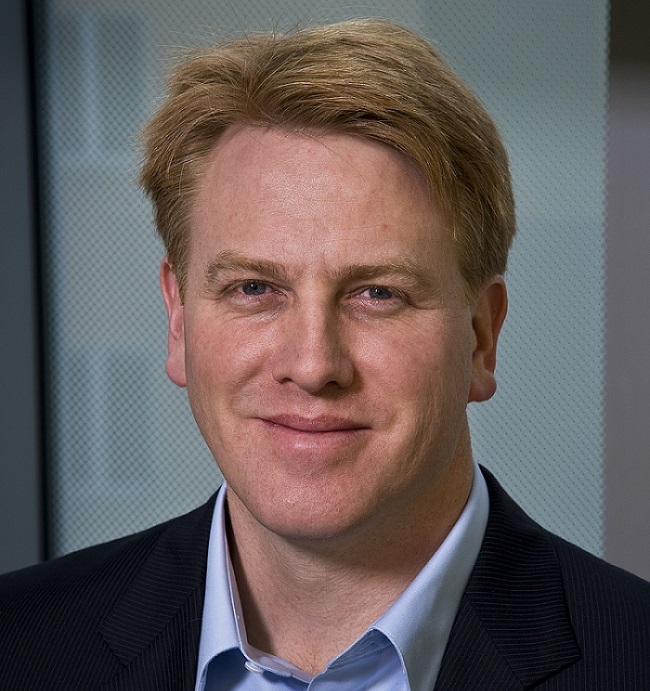 Tony Wood, SVP, Platform Technology & Sciences, joined GSK in October 2017. He is a member of the R&D Management Team, reporting to Hal Barron, President, R&D. Tony was previously head of Worldwide Research & Development’s Medicinal Sciences at Pfizer, and prior to that held roles of increasing seniority in chemistry and medicinal sciences across a range of therapy areas. 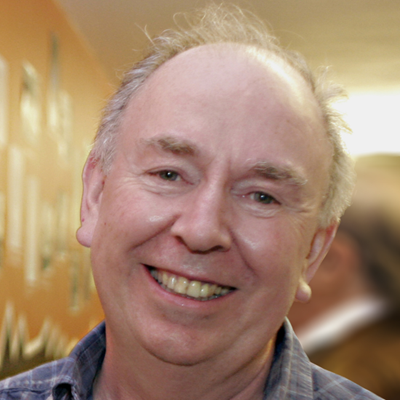 Tony played a leading role in the discovery of Maraviroc, a CCR5 antagonist for the treatment of HIV, and in recognition was awarded the RSC Malcolm Campbell Prize in 2005, and was a co-recipient of the ACS Heroes of Chemistry Prize, the Prix Galien USA and Scrip Awards in 2008, and the PhRMA Discoverers Award in 2010. Bicyclic peptides or Bicycles® are a new therapeutic modality combining the attributes of antibodies, small molecules and peptides within one molecule. Bicycles® can be used as standalone therapeutics or coupled to deliver various therapeutic payloads, including cytotoxins, immune modulators, radionuclides or nucleic acids in a tissue selective manner. Bicycle Therapeutics’ has unique proprietary technology for the discovery of Bicycles® and is focused in oncology where Bicycle Toxin Conjugates® (BTCs) selectively deliver toxins to tumours, killing them with a high degree of precision and minimal effects on healthy cells. BTCs take advantage of Bicycles’ inherent properties of high target affinity and specificity, fast penetration into the tumour and low systemic exposure, combined with rapid renal elimination. BT1718, Bicycle’s lead BTC is currently under clinical exploration in collaboration with CRUK. Bicycles®also offer a range of unique opportunities in immune oncology and other therapeutic areas outside oncology. Kevin joined Bicycle Therapeutics from Pfizer, where he served as SVP and CSO of the Rare Disease Research Unit. In that role, he held responsibility for more than 20 novel programmes across the full spectrum of R&D, established Pfizer’s rare disease strategy, conceptualized and implemented the company’s gene therapy strategy with the creation of the Genetic Medicine Institute and founded the Rare Disease Research Consortium. Prior to joining Pfizer, Kevin worked at GSK and, in addition to leading the formation of multiple strategic commercial and academic partnerships, he led epigenetics research and was responsible for the creation of the EpiNova DPU. Before joining GSK, he lectured at Warwick University Medical School and founded several biotech companies. Kevin studied Pharmaceutical sciences at Nottingham University followed by a Ph.D. in pharmacology at Cambridge University and is an author on over 100 peer-reviewed scientific publications. Antibody engineering has come of age and there are now over 500 antibody therapeutics in clinical development and nearly 70 approved for a wide range of different disease indications. Amongst these, there are many examples of antibodies with engineered properties such as increased potency, half-life extension and improved stability. The landscape for biologics therapies is evolving to deliver additional functionality with the introduction of novel formats, such as bispecific antibodies, peptide-antibody fusions, scaffolds and antibody -drug conjugates. Case studies will be presented illustrating the benefits of different formats and how they can be applied in different disease settings. Jane joined MedImmune, formerly Cambridge Antibody Technology (CAT), now the global biologics research and development arm of AstraZeneca, in 1993. An expert in antibody engineering, she has authored many key publications and patents, and made a significant contribution to the discovery and development of a number of marketed drugs and more than 40 clinical candidates. She has worked across many therapy areas and currently leads a global team, based in Gaithersburg US, focused on the development of biosuperior antibody therapies. Jane is also Site Leader for MedImmune’s facility in Cambridge UK, which is home to over 550 MedImmune employees, and chairs the cross-campus leadership team for AstraZeneca in Cambridge. Jane obtained a First Class degree in Biochemistry from the University of Cambridge and completed a PhD at the John Innes Centre for Plant Science Research in Norwich. This was followed by a Post-Doctoral position at Rutgers University, New Jersey before moving into medical research through a British Heart Foundation Post-Doctoral Fellowship at the Department of Medicine at Addenbrooke's Hospital in Cambridge. Jane is passionate about the development of the UK biotechnology sector and was elected Chair of the Board of Directors of the BioIndustry Association in 2015. She is also a Director of Babraham Bioscience Technologies and a Director of Cambridge Enterprise. 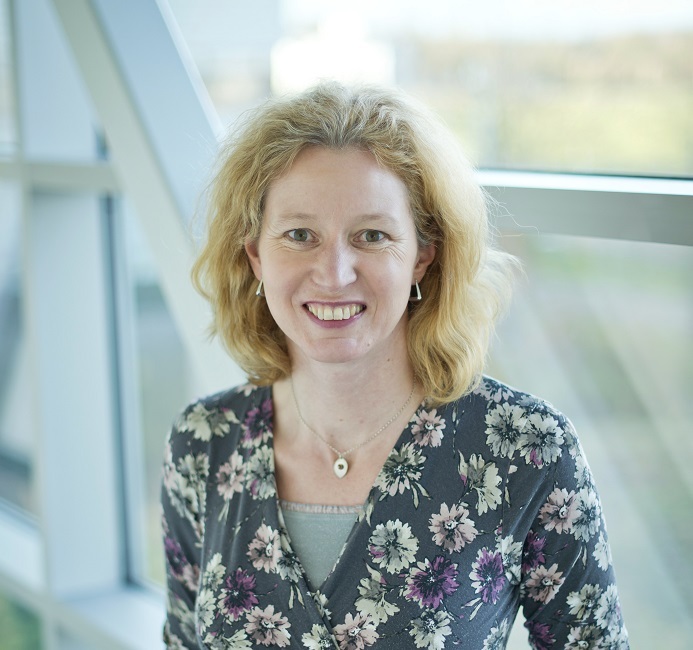 She has presented at a number of parliamentary Select Committees and has previously served as a Member of the UK Medical Research Council Industry Grant Award Assessment Panel. In 2016 she was recognised in the PharmaVoice 100, and also in Fierce Pharma’s “Fierce Women in Biopharma” – one of 15 women in the global industry noteworthy for their leadership, providing mentorship and helping increase opportunities for women in science. Cancer immunotherapies function to harness the body’s own immune system to eradicate cancer cells. Critical to this process is the T cell, capable of directing potent and antigen-specific immune responses. T cell receptor (TCR) antigens are short intracellularly processed peptides presented on the cell surface, offering distinct advantages over antibody-based therapies that recognise secreted or cell surface proteins. Here, we describe two novel platforms designed to overcome the limitations of the natural T cell response to deliver high-affinity engineered TCRs to an identified and validated target antigen. The platforms can be distinguished based on a cellular versus soluble approach. SPEAR (Specific Peptide Enhanced Affinity Receptor) T cell therapies targeting MAGE-A10, MAGE-A4, AFP and NY-ESO are progressing through clinically studies in multiple solid and hematologic cancers. The lead soluble ImmTAC® (Immune mobilising monoclonal TCR against cancer) molecule, IMCgp100, has entered pivotal monotherapy trials for the treatment of patients with metastatic uveal melanoma. Dr Bent Jakobsen co-founded Immunocore in 2008 and has served as Chief Scientific Officer and Executive Board Member since that time. He is also scientific co-founder of Adaptimmune Ltd, where he provides strategic and advisory input as well as oversight of research programmes. He was previously Chief Scientific Officer of Avidex, a company he founded in 1999 as a spin-out from the University of Oxford to develop novel T cell receptor-based drugs. Dr Jakobsen was head of the Immune Receptor Group at the Institute of Molecular Medicine (IMM) in Oxford from 1993 to July 2000. Prior to this, he was a Senior Research Fellow of the Danish Natural Research Council, Aarhus, Denmark, and undertook post-doctoral research at the Laboratory of Molecular Biology of the Medical Research Council in Cambridge. Dr Jakobsen has authored numerous scientific papers and is considered a world expert in the field of T cell receptor immunology. Background: HD is an autosomal dominant neurodegenerative disease caused by CAG repeat expansion in the HTT gene resulting in polyglutamine expansion in the mutant huntingtin protein (mHTT) with a toxic gain-of-function disease mechanism. No disease-modifying treatments are currently available. In transgenic rodent models of HD, suppressing HTT production delays disease progression and reverses disease phenotype. A comprehensive drug discovery effort, including extensive preclinical testing, was undertaken to design a well-tolerated ASO with high specificity to human HTT mRNA that potently suppresses HTT production. Design/Methods: In this first-in-human, multi-center, double-blind clinical trial (NCT02519036), 46 patients were randomized (3:1) to receive four doses of IONIS-HTTRx (RG6042) or placebo by monthly bolus intrathecal (IT) injection followed by a 4-month untreated period. Five ascending-dose cohorts were enrolled with independent Data Safety Monitoring Board review of safety, PK and target engagement prior to dose escalation. Results: IONIS-HTTRx was well-tolerated at all doses tested. Adverse events were mostly mild and unrelated to study drug. There were no adverse trends in laboratory parameters. No patients prematurely discontinued from treatment. ASO was measurable in CSF and plasma. Significant, dose-dependent reductions in CSF mHTT were observed. Conclusions: ASO technology has the potential to provide disease-modifying benefits to patients with neurodegenerative diseases. In this Phase 1/2a trial in early stage HD patients, IONIS-HTTRx delivered via IT injection was well tolerated with no study drug-related adverse safety signals during the treatment or follow-up periods. Significant dose-dependent reductions in CSF mHTT were observed, suggesting that IONIS-HTTRx is a promising therapeutic for the treatment of HD. Sarah Tabrizi is Professor of Clinical Neurology and joint Head of Dept of Neurodegenerative disease at the UCL Institute of Neurology, Honorary Consultant Neurologist at the National Hospital of Neurology and Neurosurgery, Queen Square, London, and Director of the UCL Huntington’s Disease Centre. Her research focuses on understanding the basic cellular mechanisms of neurodegeneration, in particular Huntington’s disease (HD), and finding effective disease-modifying therapies for HD. She has identified a key role for the innate immune system in the pathogenesis of HD, and leads two major, multidisciplinary research initiatives, TRACK-HD and Track-On HD, aimed at understanding the neurobiology of the neurodegenerative changes in premanifest and early stage HD gene carriers, and is actively working on developing and testing disease-modifying therapies for HD. 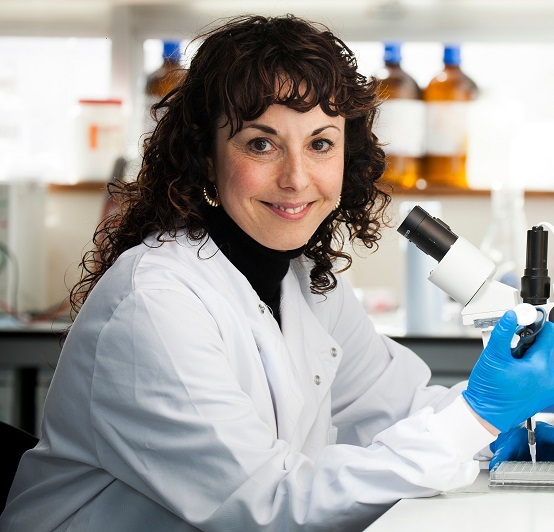 Sarah is clinical global PI for the world’s first gene silencing trial in HD which started in September 2015, is an elected Fellow of the UK Academy of Medical Sciences. In 2017 she received the Seventh International Leslie Gehry Brenner prize for Innovation in Science awarded by the Hereditary Disease Foundation. 12:15-12:35 Bioelectronics - is the next novel therapy class an electronic implant? Electrical and molecular signalling constitute main axes of control in biology. Peripheral nerves conduct electrical impulses to and from organs, regulating a wide range of physiological processes, from smooth muscle tone to cellular programming and molecular secretion. Modulating such signals is proving to have therapeutic potential across chronic diseases such as rheumatoid arthritis, diabetes, and asthma. Bioelectronic medicine is a new therapeutic modality that seeks to treat such diseases with miniaturised, implantable devices delivering precision neuromodulation. This talk will outline the therapeutic potential, describe how mechanistic learnings from animal models, surgical approaches, and new technology solutions are coming together into the device development. The clinical development steps ahead will also be discussedss. A glimpse will be provided into how smart device-based therapies may change medical practice in the coming decades and highlight opportunities for collaborative research towards that goal. Kris is president of Galvani Bioelectronics, a joint venture between GSK and Verily Life Sciences to pioneer precision neuromodulation as a new treatment modality. He’s responsible for Galvani’s efforts to deliver game-changing therapies to patients, including the current development of electronic implants that connect to peripheral nerve targets, and the transition into a clinical development-stage company. Before his appointment to lead Galvani, he was founding VP and head of Bioelectronics R&D at GSK launched in 2013. There he managed the unit’s extensive research towards establishing the treatment potential, disease reach, and technology requirements for modulating signals in autonomic nerves, working together with a global network of partners across academia and industry. During his time at GSK he also headed up the R&D Strategy Group and the Protein Degradation Discovery Performance Unit. Kris obtained his PhD in Molecular Biology at University of Cambridge with Sir Greg Winter, following an MSc in Chemical Engineering at Lund University, Sweden. 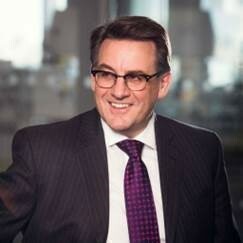 Before joining GSK in 2009, he worked as a management consultant at McKinsey & Company. The Chair's introduction will set the scene for this session by highlighting latest developments in the field as well as the challenges and opportunities that lie ahead in the design of new approaches for drug delivery. 13:50-14:10 Early days of gene therapy – are we there yet? Gene therapy is emerging as a new medical modality for treating genetic disorders. Recombinant viral, and non-viral vectors represent multiple approaches for delivery that is showing significant promise for the treatment of several types of diseases in humans including heart disease, musculoskeletal diseases, hemophilia, rheumatoid arthritis, and others. This presentation will first provide a historical review of developing a viral vector: namely Adeno-associated virus (AAV), as an efficient delivery system and more importantly, highlight the limitations that are still prevalent with respect to everyday success. Highlighted examples of successful gene transfer will focus on the recent data accumulating in the clinic for genetic disorders such as Hemophilia, Blindness, and muscular dystrophy. As with most new areas of drug development, new issues arise after entering the clinic. I will outline the observations that are still appearing problematic (e.g immune response, high costs of manufacturing, treating ultra rare orphan diseases) for further discussion. Furthermore, for any biologic drug to become commercially viable - and to be able to attract the significant drug development resources of industry - a cost effective drug manufacturing process must be available. A portion of this presentation will focus on current methods of vector production. As the field continues to mature, we see more and more novel therapeutics entering the clinic. The ability to generate high titer, high quality, GMP-grade vector products will be paramount to advance such efforts. With this backdrop, we anticipate accelerated establishment of “proof of concept” studies in humans. This will be achieved by multiple groups of researchers, using viral and non-viral vectors as well as specific academic and commercial vector cores, that will assist translational and clinical research communities as the journey continues. Dr Samulski received his PhD in Medical Microbiology and Immunology from the University of Florida. His graduate work involved cloning the Adeno-associated virus (AAV) genome and the demonstration of AAV as a viral vector. This culminated in the first US patent involving non-AAV genes inserted into AAV. During his post-doctoral training at Princeton, he developed the AAV 2 ITR vector backbone, commonly used by most labs today. After these studies, he was hired as faculty at the University of Pittsburgh Department of Biology. During this phase, he was the first to demonstrate AAV transduction in rodent brain and muscle. Both of these observations initiated research efforts that culminated in the first clinical trials for AAV in brain (Canavan trial) and muscle DMD studies. Dr Samulski is a former member of the Recombinant DNA Advisory Committee (RAC), and serves as a gene therapy consultant to the FDA. In 1993, he was hired at the University of North Carolina (UNC) to establish a Gene Therapy Center. For 25 years Dr Samulski has led a team of multiple Principal Investigators developing novel viral vectors and clinical gene therapy programs. He received the “Outstanding Achievement Award” from the American Society of Gene & Cell Therapy, was the National Hemophilia Foundation’s Investigator of the Year and was the first non-MD to be placed on the University of Florida’s “Hall of Fame”. He has served as President of ASGCT and serves on the Advisory Council. He is a scientific founder of AGCT, Merlin, Asklepios Biopharmaceutical, NanoCor Therapeutics, Chatham Therapeutics, Bamboo Therapeutics, Viragen, and others. He served as Vice President of Gene Therapy in Pfizer’s Rare Disease Research Unit until the initiation of the AAV DMD trial in February 2018, when he returned full-time to his professorship at UNC. High throughput combinatorial approaches have revolutionized small molecule drug discovery. Here we describe our work on high throughput methods for developing and characterizing RNA delivery and gene editing systems. Libraries of degradable polymers and lipid-like materials have been synthesized, formulated and screened for their ability to delivery RNA, both in vitro and in vivo. A number of delivery formulations have been developed with in vivo efficacy, and show potential therapeutic application for the treatment of genetic disease, viral infection, and cancer. Professor Daniel G. Anderson is a leading researcher in the field of nanotherapeutics and biomaterials. He is appointed in the Department of Chemical Engineering, the Institute for Medical Engineering and Science, the Koch Institute for Integrative Cancer Research, and the Harvard-MIT Division of Health Science and Technology at MIT. The research done in Prof. Anderson’s laboratory is focused on developing new materials for medicine. He has pioneered the development of smart biomaterials, and his work has led to advances and products in a range of areas, including medical devices, cell therapy, drug delivery, gene therapy and material science. Prof. Anderson received a B.A. in mathematics and biology from the University of California at Santa Cruz and a Ph.D. in molecular genetics from the University of California at Davis. His work has resulted in the publication of over 400 papers, patents and patent applications. These patents were the basis for the foundation of a number of companies in the pharmaceutical, biotechnology, and consumer products space, and have led to a number of products that have been commercialized or are in clinical development. Exosomes are extracellular vesicles naturally generated by cells in the blood. Exosomes transfer genetic material, including exogenously loaded siRNA, to cancer cells. The mutant form of the GTPase KRAS is a key driver of pancreatic cancer but remains a challenging therapeutic target. Exosomes derived from normal fibroblast-like mesenchymal cells were engineered to carry short interfering RNA, or short hairpin RNA specific to oncogenic KrasG12D, a common mutation in pancreatic cancer. Engineered exosomes (iExosomes) target oncogenic Kras with an enhanced efficacy dependent on CD47 and facilitated by macropinocytosis. Treatment with iExosomes suppress cancer in pancreatic cancer mouse models and significantly increase survival by direct and specific targeting of oncogenic Kras in tumours using iExosomes. To translate to the clinic, we developed a bioreactor-based, large-scale production of clinical-grade exosomes to generate engineered exosomes to target oncogenic Kras. Clinical-grade GMP iExosomes were tested in vitro and in vivo to confirm suppression of oncogenic Kras and an increase in the survival of several mouse models with pancreatic cancer. Our studies determine the shelf life, biodistribution, toxicology profile, and efficacy in combination with chemotherapy for future clinical testing of GMP iExosomes. This illustrates the process and feasibility of generating clinical-grade exosomes for various therapies of human diseases. Raghu Kalluri received his Ph.D. from the University of Kansas and his M.D. from Brown University. In 1997 he moved to Harvard Medical School as Assistant Professor of Medicine and faculty at Beth Israel Deaconess Medical Center. In 2000 he became Associate Professor and Director of the Center for Matrix Biology. In 2006 this program became the Division of Matrix Biology and Dr Kalluri was appointed Chief of the Division and promoted to Professor of Medicine at Harvard Medical School. In 2012 he moved to The University of Texas MD Anderson Cancer Center as Chairman and Professor of the Department of Cancer Biology and Director of the Metastasis Research Center. He holds the RE Bob Smith Distinguished Chair for Cancer Biology. In 2015 Dr Kalluri received the Jacob Henle Medal for his contribution to medical research. He is the recipient of research excellence awards for his work on basement membranes and extracellular matrix as related to fibrosis and cancer progression. Dr Kalluri has published over 287 peer-reviewed manuscripts. He has trained 73 postdoctoral fellows and 51 of his trainees hold academic positions around the world. His laboratory studies the cell/tissue microenvironment and its impact on cancer progression and metastasis, and tissue injury and repair. The thermal and mechanical effects produced by ultrasound have a major role to play in enabling therapeutics to cross biological barriers, such as those presented by the highly irregular vasculature and elevated interstitial pressure in tumours, or the cellular membrane. We first present results from a first-in-man clinical trial (TarDox) of targeted drug delivery to liver tumours using thermosensitive liposomes in combination with mild hyperthermia delivered non-invasively using focused ultrasound. In a further development, a mechanical effect of ultrasound, known as acoustic cavitation, is exploited for convective transport of therapeutics. This approach necessitates lower-intensity ultrasound delivered from a portable device and does not require drug modification or encapsulation. In oncology, sub-micron cavitation-inducing particles co-administered with small-molecule drugs, therapeutic antibodies or viruses are shown to increase both the penetration and total dose delivered to tumours following systemic administration, significantly enhancing their therapeutic efficacy even at a reduced systemic dose. 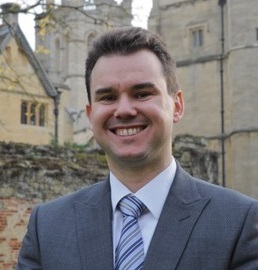 Professor Constantin Coussios is the the Director of the Oxford Institute of Biomedical Engineering. He received his BA, MEng and PhD in Engineering from the University of Cambridge and was elected to the first statutory chair in Biomedical Engineering at the University of Oxford in 2011, with special responsibility for drug delivery and non-invasive therapies. He founded and heads the Biomedical Ultrasonics, Biotherapy and Biopharmaceuticals Laboratory (BUBBL) and recently launched the £10m Oxford Centre for Drug Delivery Devices (OxCD3) under a 5-year programme grant by the UK’s Engineering and Physical Sciences Research Council. 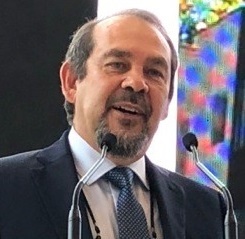 The author of over 100 peer-reviewed publications and 16 patents, Prof. Coussios received the UK’s Institute of Acoustics’ Young Person’s Award for Innovation in Acoustical Engineering in 2007, was elected as Secretary-General of the International Society for Therapeutic Ultrasound between 2006-2010 and was honoured with the Society’s Fred Lizzi award in 2012. He was elected as the youngest ever Fellow of the Acoustical Society of America in 2009, and received the Society’s Bruce Lindsay award in 2012. In 2008, he was one of two academic founders of the Oxford University spin-out OrganOx Ltd., which has developed a novel CE-marked normothermic perfusion device for improved organ preservation prior to transplantation through to first-in-man trials and first sales. 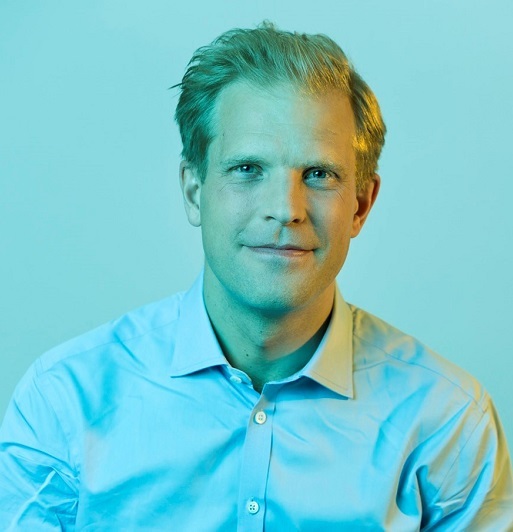 In 2014, he co-founded OxSonics Ltd, which is developing a new generation of ultrasound-based medical devices for cavitation-enhanced drug delivery and minimally invasive surgery. In 2017, he received the Silver Medal of the UK’s Royal Academy of Engineering in recognition of his contributions to organ preservation and ultrasound-mediated drug delivery. Dr. Swanton completed his MD/PhD in 1999 at the Imperial Cancer Research Fund Laboratories and Cancer Research UK clinician/scientist medical oncology training in 2008. He combines his laboratory research at the Francis Crick Institute with clinical duties focused on biological mechanisms of cancer drug resistance. Dr. Swanton was made Fellow of the Royal College of Physicians in April 2011 and Chair in Personalized Cancer Medicine and Consultant Thoracic Medical Oncologist at UCL Hospitals in November 2011. 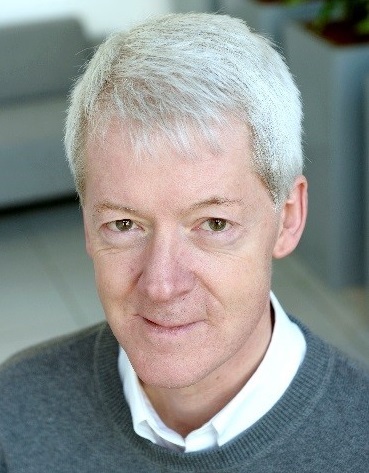 Dr. Swanton is the Chief Investigator of the CRUK TRACERx lung cancer evolution study and was awarded the Royal College of Physicians Goulstonian lecture and Graham Bull Prize for Clinical Sciences in 2013, Fellow of the European Academy of Cancer Sciences in 2013, and Fellow of the Academy of Medical Sciences in 2015. Dr. Swanton was awarded the Jeremy Jass Prize (2014), Stand up to Cancer Translational Cancer Research Prize (2015), Glaxo SmithKline Biochemical Society Prize in recognition of distinguished research leading to new advances in medical science and the Ellison-Cliffe Medal and Lecture, Royal Society of Medicine (2016). He was appointed Napier Professor in Cancer by the Royal Society in 2016, Cancer Research UK’s Chief Clinician in 2017. He was awarded the 2016 San Salvatore Foundation prize, and elected an EMBO member in 2017. Nick Medcalf works for UK Research and Innovation as the Senior Innovation Lead in Advanced Therapies at Innovate UK where, working alongside Dr Ian McKay, he is responsible for developing and implementing the innovation strategy for UK wealth creation in specific areas of the advanced therapies portfolio (cell-, tissue- and gene-based therapies, synthetic biology and related technology). He is currently the Interim Challenge Director for the Industrial Strategy Challenge Fund, Medicines Manufacturing. 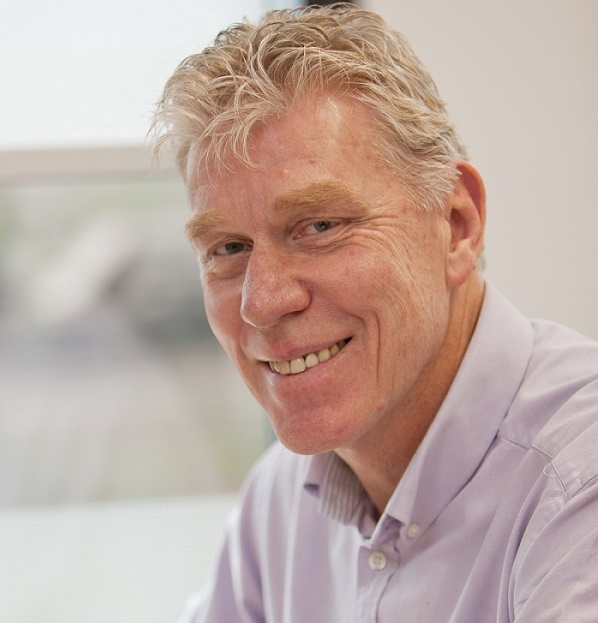 Prior to this appointment Nick was Professor of Regenerative Medicine Manufacture at Loughborough University from 2013 to 2017 under an EPSRC Manufacturing Fellowship Scheme following 36 years in the healthcare industry. (He retains a Visiting Professor status there.) He has a particular interest in improving the options for manufacture and supply of advanced therapeutics by making available appropriate technology for novel and effective models of business and operation. In this session the panellists consider the ways in which manufacturing is changing to address the challenges of customisation, lot size, shelf life and inventory management for the new categories of medicinal products. The impact of the nature of the product, the integration of the supply chain and local finishing with the traditional manufacturing steps will be considered and the roles and responsibilities of those responsible for the chain of custody will be re-examined. The potential reduction of the R&D timeline by providing manufacturing technology that can be applied during the discovery phase will be discussed. Annette joined Astra Zeneca as Head of Advanced Drug Delivery in September 2016. 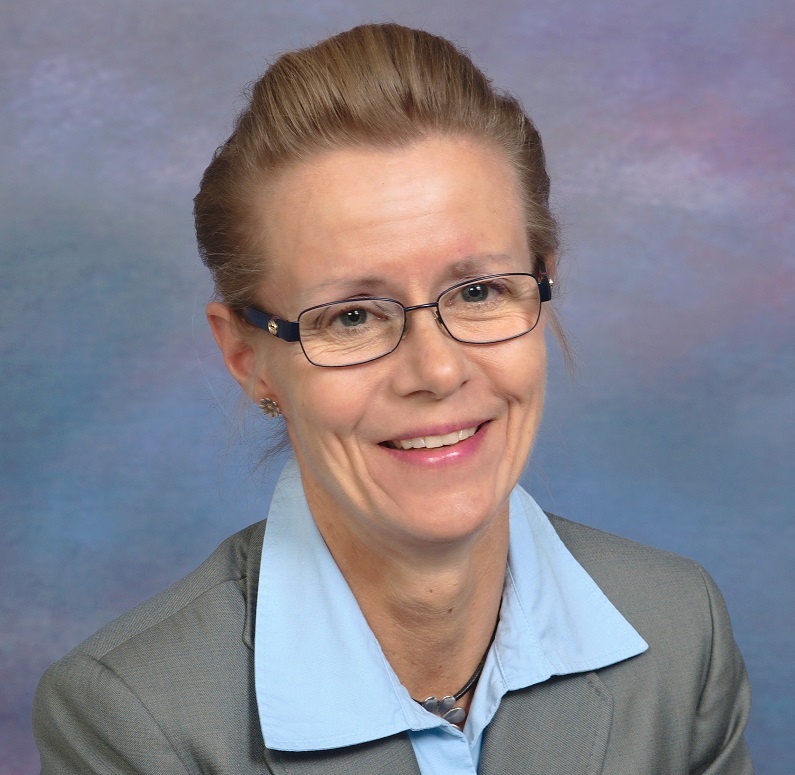 She is leading a department of drug delivery scientists, formulators and analytical chemists across Sweden, UK, and the US, responsible for advanced and cutting-edge drug delivery of mRNA, oligo nucleotides, proteins, and small molecules. She also serves as the Chief Chemist on the Innovative Medicines and Early Development leadership team. Before joining AZ her career was in the US pharmaceutical industry, Amgen and Merck. Annette enjoys the opportunity to impact global and public health though innovative medicines. She has impacted numerous discovery and early development programs leading to new entities in the clinic and commercial space. She publishes on a regular basis, for example on new ways to develop and deliver biomolecules and pharmaceutical cocrystals. 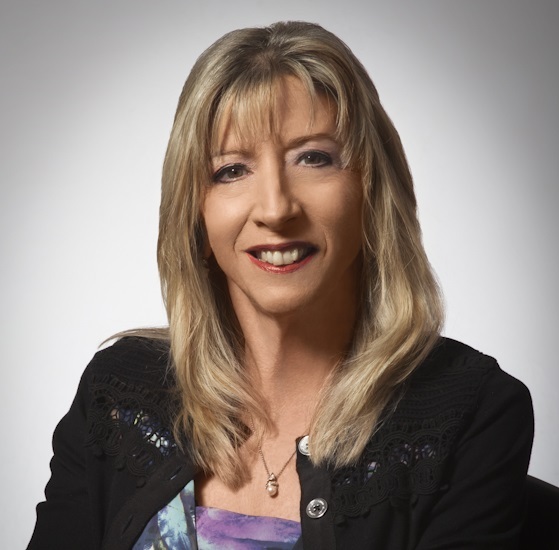 Connecting and developing others have also been central in Annette’s career, she has successfully coached reports and mentees leading to impact in their careers. She is a passionate volunteer in American Association of Pharmaceutical Scientists, serves on the Executive Council as a board member, and in that context contributes to the scientific and professional development of the wider community via leadership of global meetings, scientific and professional publications and presentations. Dedicated to building a Cell and Gene Therapy industry in the UK, Keith has established a team of experts in state-of-the-art laboratories in London, and a unique manufacturing centre in Stevenage. Keith joined CGT from SNBTS, where he was National Director. Prior to this, he was MD of Bioscot, VP of Diagnostics Operations at Serologicals, then VP of Global Manufacturing. He is currently a Director of the BIA and of the Alliance for Regenerative Medicine. In 1993, when at Bioscot, he received the Queen’s Award for export. 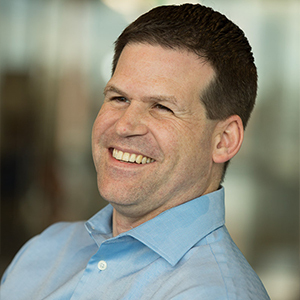 Derek Adams joined bluebird bio in March 2017 as Chief Technology and Manufacturing Officer leading all pharmaceutical sciences that includes process and analytical development, manufacturing, technical operations, and supply chain. Prior to joining bluebird, Derek was the Senior Vice President of CMC at Evelo Biosciences establishing process development and supply chain for clinical studies and drove product development strategy. Prior to Evelo, he was Vice President of Technical and Strategic Product Development at Alexion Pharmaceuticals developing and supporting global manufacturing processes and clinical supply chain. He also served as Plant Manager for Alexion’s Rhode Island Manufacturing facility and head of upstream process development. Derek’s career began in technical support for live virus vaccine production at Merck & Co, Inc. Derek holds a Ph.D. in Chemical Engineering from the University of Minnesota and a B.S. in Chemical Engineering with High Distinction from Worcester Polytechnic Institute (WPI) in Worcester, Massachusetts, USA. 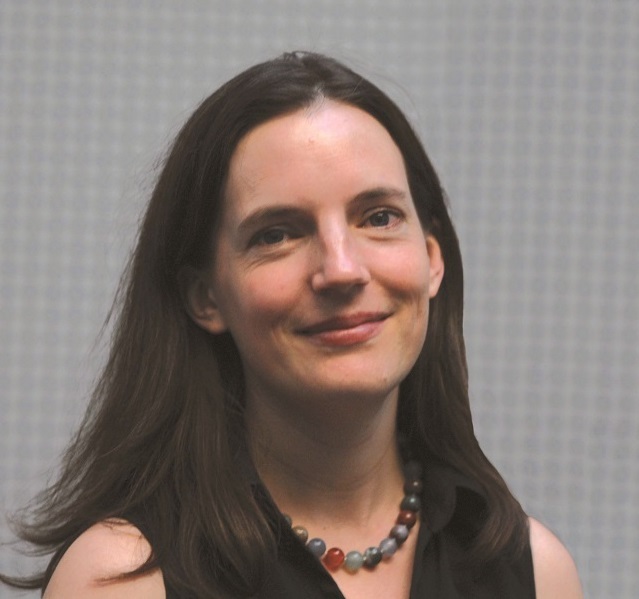 Angela McLean is a mathematical biologist at Oxford University where she is a Senior Research Fellow at All Souls College and Professor of Mathematical Biology in the Zoology Department. Her research interests concern understanding how fast infections spread, both within individuals and between individuals. In addition to her own academic work she has played a sustained role in advising government on the use of scientific evidence in making good policies. 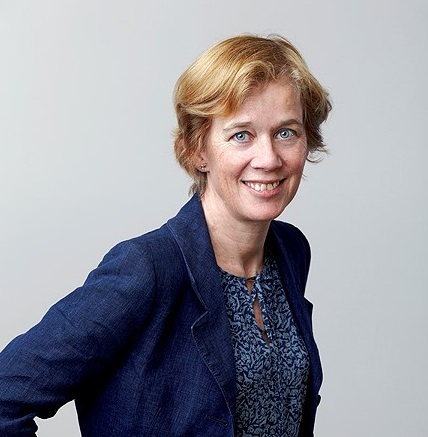 At the Royal Society she Co-Chairs the Data Community of Interest and Chairs the steering group for the series of public lectures on artificial intelligence, You and AI. Currently 90% of drug candidates taken into clinical trials fail to be approved. Drug targets are often motivated by studies in model systems, but the modulation of these targets often fails to be effective in humans, underlining out relative lack of understanding of human biology. Analysis of human genetic variation and its phenotypic consequences offers the potential to study perturbations of human biology directly. Combining large-scale genomic data sets now allows simultaneous analysis of thousands of different phenotypes so that for the first time it is possible to exploit what has been called Nature’s clinical trial so as to begin to reveal the human wiring diagram. The resulting biological insights offer a powerful new approach to empower target discovery and other aspects of drug development. Professor Peter Donnelly FRS FMedSci is Professor of Statistical Science at the University of Oxford and the Founder and CEO of Genomics plc. After studying for a doctorate in Mathematics in Oxford as an Australian Rhodes Scholar, he had a world-leading academic career in statistical and human genetics which included Professorships at the Universities of London, Chicago, and Oxford, and a decade as Director of Oxford’s Wellcome Centre for Human Genetics. Peter has been one of the drivers of the “Genetic Revolution”, the explosion in our knowledge of genetic variants associated with common human diseases and the increasing use of genetics in clinical medicine, through his leadership of the landmark Wellcome Trust Case Control Consortium, the International HapMap Consortium, and the WGS500 project, which pioneered whole genome sequencing in clinical medicine and led to the UK NHS 100,000 Genomes project. He is one of the global leaders in the development of statistical and machine learning algorithms to analyse and extract insights from modern genomic “big data”, with his papers introducing new methods cited over 40,000 times. 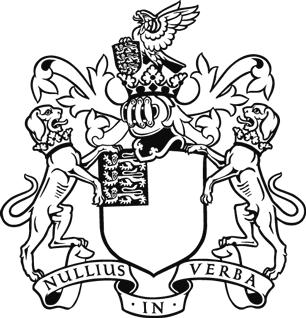 Peter chaired the Royal Society’s policy working group on Machine Learning. 10:10-10:35 Is Digital Health the snake oil of the 21st century? At the June 2016 Annual Meeting of the American Medical Association, CEO James L Madara, M.D speaking of “Digital Health” observed “From ineffective electronic health records, to an explosion of direct-to-consumer digital health products, to apps of mixed quality – it's the digital snake oil of the early 21st century.” Without doubt “Digital Health” has been greatly hyped over the last few years and has come to mean different things to different people. However, by considering alternative definitions of digital health and understanding the origins of “digital snake oil” a new realisation of digital health is presented. Based on the concept of the “digitised patient” represented in the form of high resolution dynamic physiological images, this view points to new clinical pathways and more efficient ways of delivering care both in and out of hospital. Keith Errey is the CEO and co-founder of Isansys and is a strong advocate of digital and data driven methods in healthcare. A serial entrepreneur with a long practical interest in technology businesses that originate from translational research, Keith has wide experience in several industries including mining, telecommunications, instrumentation and medical devices, and a life-long commitment to education, having worked both as a schoolteacher and university lecturer. He has physics degrees from Oxford University and the University of New South Wales. Isansys Lifecare, the leader in new generation wireless patient monitoring systems, has created the Patient Status Engine, a remarkable patient monitoring platform which collects and analyses patients’ vital signs and other relevant data, alerts doctors and nurses if a person’s health is deteriorating and provides a robust and auditable record of the patient’s healthcare journey. As most health systems face escalating demands from more people living longer with multiple long-term conditions the returns on therapeutic investments, especially in multimorbidity, are highly uncertain. Precision medicine investments have focused on biological stratification and current clinical delivery models, which concentrate resources on late-stage, single-condition care. Concurrently, patient data are being integrated across healthcare, research and civic settings to pursue digital futures. AI has been marketed beyond current evidence of successful harnessing of such data for actionable information, apart from mature niches such as medical image analysis. Nevertheless, many health behaviours, from physical activity to mental resilience, are now affected by AI and ubiquitous technologies, intended or not. The digital health industries are pursuing interoperability standards as key to a universal app store to assemble different elements of clinical and consumer healthcare. One app per drug/clinic, however, does not provide an organising framework for the 'companion AI' to understand and improve multi-morbid drug-outcomes. Concepts such as 'health avatar' or 'digital twin' have been put forward as ways to study unions of models for better clinical prediction and self-care interaction. This talk will explore the potential for multi-sector partnerships to move beyond the current app blizzard to a more scientific and governable approach to companion AI for better therapies. 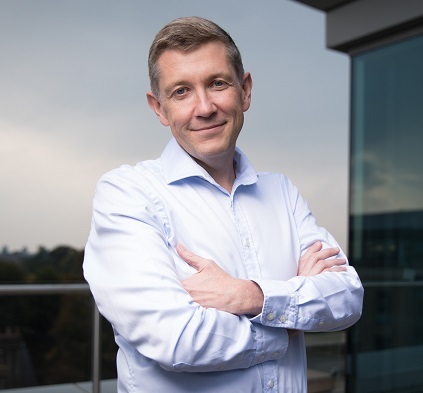 Iain Buchan is Professor of Public Health and Clinical Informatics at the University of Liverpool and was recently Director of Healthcare Research at Microsoft Research in Cambridge (UK) and part of the leadership team for Microsoft’s global Healthcare NExT initiative. Previously, he founded and led one of the world’s top health and biomedical informatics research groups at the University of Manchester where he raised over £100M in research funding and published over 250 articles, spawning new scientific, engineering and social approaches to health data, including the MRC Health eResearch Centre (www.herc.ac.uk) then the Farr Institute for Health Informatics Research (www.farrinstitute.org now Health Data Research UK www.hdruk.ac.uk) and Connected Health Cities (www.connectedhealthcities.org). 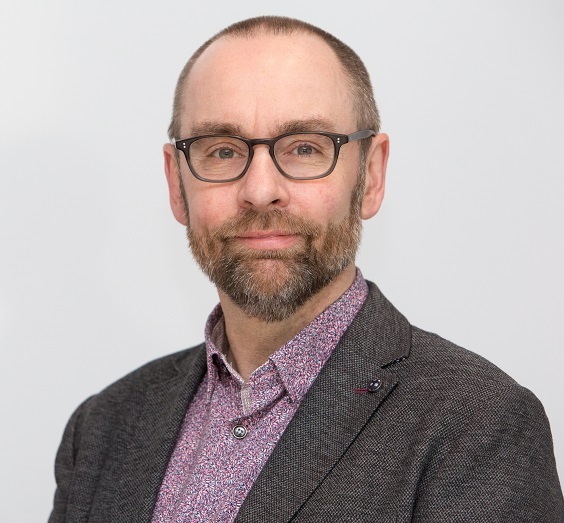 Iain holds qualifications in pharmacology, clinical medicine, public health, statistics and informatics, and has been active in digital innovation projects for over 30 years. His research is now dedicated to harnessing health data and informatics at a societally useful scale – for best science, industry and care – including ethical AI to link self-care, clinical interventions and population healthcare. Traditional approaches to investigating the safety and efficacy of new medicines are primarily based on randomised controlled trials. There is, however, increasing interest in newer techniques that include adaptive designs, basket trials, umbrella trials, step wedge trials, ring trials and - in some circumstances - Baskerville trials. The advantages and disadvantages of these approaches will be discussed. Sir Michael Rawlins was professor of clinical pharmacology at Newcastle University from 1973-2006. During this time he was chairman of the Committee on the Safety of Medicines (1992-1998), chairman of the Advisory Council on the Misuse of Drugs (1998-2008) and the founding chairman of the National Institute for Clinical Excellence (1999-2014). Since 2014 he has been chairman of the Medicines and Healthcare products Regulatory Agency, and in 2017 was awarded the GBE for his services to the safety of medicines, healthcare and innovation. How can the UK realise the value of patient data to discover the next generation of medicines? How can the regulatory environment keep up with (and enable) innovation in therapy development? How can we use data to change the paradigm from disease treatment to disease prevention? How can technological advances enhance the discovery and development of novel therapies? Professor Knowles was Head of Group Research and Member of the Executive Committee at Roche up to the end of 2009. He was a member of the Genentech Board for 12 years and a member of the Chugai Board for 7 years. In this role he had oversight of an R&D budget of more than 8 billion euros. Prof Knowles was also the chairman of the Corporate Governance Committee of Genentech. Under his leadership, the company developed and implemented a strategy of highly effective therapies based on personalized healthcare. He was, for 5 years, the Chairman of the Research Directors’ Group of EFPIA (European Federation of Pharmaceutical Industry Associations) and was the first chairman of the Board of the Innovative Medicines Initiative, a unique public-private partnership between 28 Pharmaceutical companies and the European Commission with the participation of over 200 academic institutions in Europe with a budget of more than 5 Billion Euros over ten years. Prior to this, he served as Director of the Glaxo Institute in Geneva for 10 years and as Head of European Research for Glaxo Wellcome. 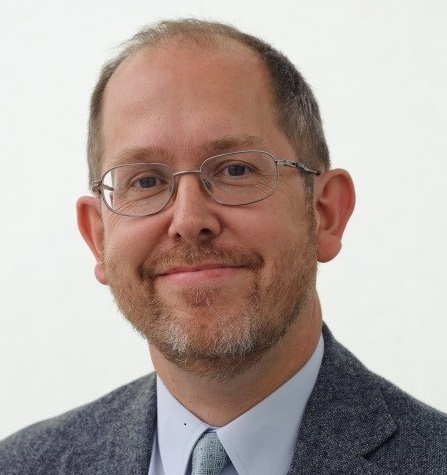 Jonathan Knowles is a visiting professor at the University of Oxford and at the Finnish Institute for Molecular Medicine at the University of Helsinki. He is a Member of the European Molecular Biology Organization, Professor Emeritus at EPFL, Lausanne and a visiting Scholar at Pembroke College, Cambridge. 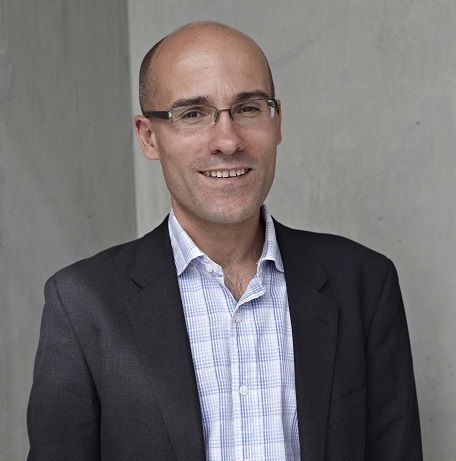 In 2011, Jonathan Knowles was appointed as a Trustee of Cancer Research UK, one of the world’s leading Cancer Research Organisations and as a board member of A*Star, the leading state research organisation in Singapore. He was appointed Chairman of the board of Immunocore in 2013 and stepped down this year. 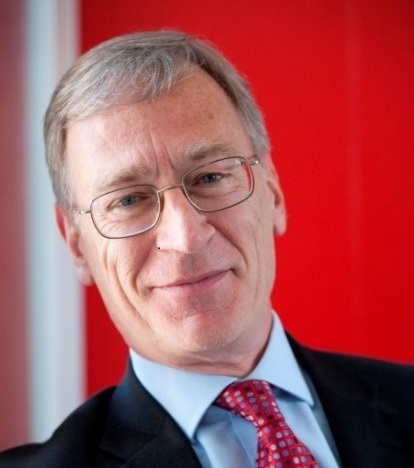 He is currently the chairman of the Genomics England Access Committee, the independent oversight committee for Genomics England. He also serves as a non-executive member of a number of Biotech company boards and on the international scientific advisory boards of several Public Organisations. In April 2015 Jonathan Knowles was chosen as the Personalized Medicine World Conference 2015 Honorary and in 2017 he was elected as a fellow of the Academy of Medical Sciences. In February of this year, a Special Task Force (STF) of the International Society for Pharmacoeconomics and Outcomes Research (ISPOR) published its report and recommendations on “A Health Economics Approach to US Value Assessment Frameworks.” In assessing the potential value of novel medicines, the STF recommended that US public and private payers begin with a metric that compares incremental costs with incremental health benefits—with the latter measured in terms of quality-adjusted life years (QALYs) gained: this is used in numerous country health systems and particularly by NICE in the UK. Taking the cost-per-QALY metric as a starting point, the STF recommended to expand the concept of value and augment its measurement to include novel elements of value, such as insurance value, the value of hope, real option value, and scientific spillovers. As a co-chair of the STF, Professor Garrison will provide an overview of the report, focusing on the implications for defining, measuring, and assessing the value of novel medicines globally. Louis P. Garrison, Jr., PhD, is Professor Emeritus in The Comparative Health Outcomes, Policy, and Economics (CHOICE) Institute in the School of Pharmacy, and has been Adjunct Professor in the Departments of Global Health and Health Services at the University of Washington, where he joined the faculty in 2004. In October 2016, he became Senior Visiting Fellow at the Office of Health Economics, London, UK. For the first 13 years of his career, Dr. Garrison worked in non-profit health policy research first at the Battelle Human Affairs Research Centers (Seattle), and then at the Project HOPE Center for Health Affairs (Virginia), where he was the Director from 1989-1992. Following this, he worked as an economist in the pharmaceutical industry for 12 years. From 2002-2004, he was Vice President and Head of Health Economics & Strategic Pricing in Roche Pharmaceuticals, based in Basel, Switzerland. Dr. Garrison received a BA in Economics from Indiana University, and a PhD in Economics from Stanford University. He has more than 140 publications in peer-reviewed journals. His research interests include national and international health policy issues related to personalized medicine, benefit-risk analysis, insurance, pricing, reimbursement, and risk-sharing agreements, as well as the economic evaluation of pharmaceuticals, diagnostics, devices, surgical procedures, and vaccines, particularly as related to organ transplantation, influenza, measles, obesity, and cancer. Dr. Garrison was elected as ISPOR President for July 2016-June 2017, and is currently serving on the Board for one year as Immediate Past President. From 2007-2009, he served on the ISPOR Board of Directors. 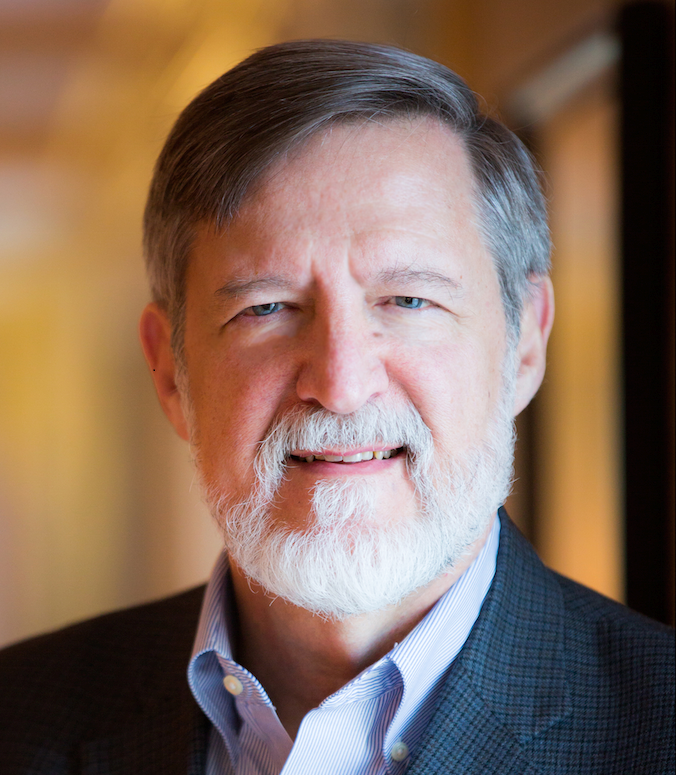 He co-chaired two ISPOR Good Practice Task Forces—on Real-World Data and on Performance-Based Risk-Sharing Arrangements—and he chaired the ISPOR Health Science Policy Council from 2012 to 2015. He also recently co-chaired the ISPOR Special Task Force on U.S Value Frameworks, and is faculty advisor for the UW ISPOR Student Chapter. He is currently chair of the Past Presidents’ Council. He was selected in 2017 by PharmaVOICE as being among “100 of the Most Inspiring People” in the industry. A histology-independent cancer drug targets tumours with a certain genomic alteration, regardless of where in the body the tumour might be located. This means that a single indication for the drug can cover many different types of cancer, and that the clinical evidence in support of the drug's efficacy might look quite different to what decision makers such as regulatory agencies and health technology assessment (HTA) bodies are familiar with. As a consequence, assessing whether these drugs might provide value for money to a healthcare system - the task of HTA bodies such as NICE - is not straightforward. As the pipeline of histology-independent cancer drugs is growing, exploring the challenges these new drugs will pose to HTA methods, as well as possible solutions that will enable their assessment, is becoming increasingly important. This talk will cover the key challenges that HTA bodies will face in assessing a histology-independent drug and discusses possible solutions to these challenges. Dr Jacoline Bouvy is a health economist specialising in the interface between marketing authorisation and health technology assessment (HTA) of medicines. She is a Senior Scientific Adviser at the National Institute for Health and Care Excellence (NICE) in London within the Science, Policy & Research team where she leads research projects on topics such as adaptive pathways, big data for better outcomes in Alzheimer’s disease, and patient preferences. Before joining NICE, Jacoline worked at the European Medicines Agency. Previously, she held postdoctoral positions at Erasmus University Rotterdam and Utrecht University in the Netherlands where she worked on various drug regulatory science and health economics topics. While many people monitor their physical health using mobile devices and wearable technology to preserve their physical health, they rarely consider improving and monitoring their brain health. If we are going to have good mental capital and wellbeing throughout our lives, it is imperative that we consider mental health as being every bit as important as physical health and move to game-changing initiatives which include early detection and early effective treatment of neuropsychiatric disorders. Cognitive enhancing drugs, such as methylphenidate and modafinil, which were developed as treatments are increasingly being used by healthy people. Cognitive abilities are becoming progressively more important for work performance and successful competition in a global environment. However, work-stress, long hours, lack of sleep, shift work, and jet lag affect cognitive functions. Therefore, increasingly, healthy people are reported to use cognitive-enhancing drugs, brain-training apps and non-invasive brain stimulation to maintain or improve work performance. Professor Barbara J Sahakian is based at the University of Cambridge Department of Psychiatry and Behavioural and Clinical Neuroscience Institute. She is a Fellow of the British Academy and the Academy of Medical Sciences. Sahakian has an international reputation in the fields of psychopharmacology, neuropsychology, neuropsychiatry, neuroimaging and neuroethics. She has over 450 publications in scientific journals and a Hirsch (h) index of 112. Sahakian co-invented the neuropsychological CANTAB and EMOTICOM computerised tests (www.cambridgecognition.com), the University of Cambridge/PEAK Advanced Training Programme and the Wizard Apprentice Memory Game (www.peak.net) . She is a member of the WEF on the Future of Neurotechnologies and Brain Science and is on the Clinical Advisory Board of the Human Brain Project. 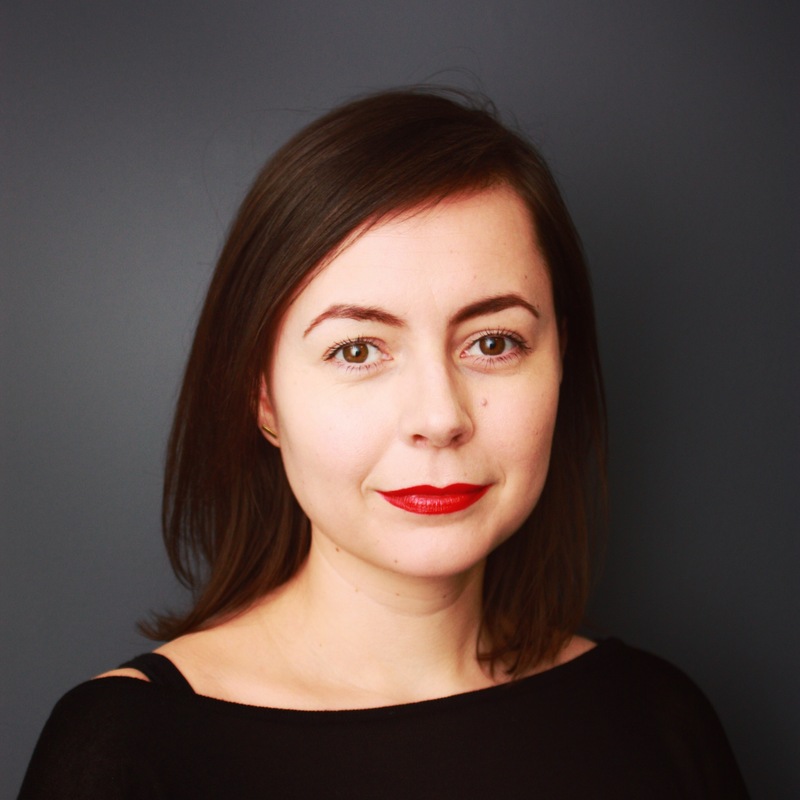 Her policy work includes the UK Government Foresight Project on Mental Capital and Wellbeing, the UK Government Scoping the Future of Neuroscience over the next 10 Years and Grand Challenges in Global Mental Health. Closing keynote: How does the healthcare system need to evolve to take advantage of new medicines? Despite numerous attempts to encourage rapid adoption of new drugs and therapies, the NHS has remained remarkably slow at this. This has negative implications for more than just patient care. To get the conditions right for rapid adoption, the following conditions need to be considered: money, staff, and priorities within the NHS. Furthermore, the cost of new therapies needs to be considered across society, not just for the NHS, and this should include the importance of the life sciences industry to the UK. Julie is a graduate nurse who worked in clinical practice before moving into management. During this time she completed a Master’s Degree in Health Services. She worked in clinical practice prior to becoming a director of clinical services at Leeds Teaching Hospitals and in 2002 became Chief Operating Officer at University Hospitals Birmingham. She was appointed as Chief Executive of University Hospitals Birmingham (UHB) in 2006. In 2015, UHB was asked by the regulator to take over management of Heart of England NHS Foundation Trust (HoEFT) due to its financial and operational difficulties. In April 2018, UHB acquired the former HoEFT to form the new UHB, which has 4 hospitals, community services, 3000 beds, £1.6bn turnover, 20 000 staff and treats over 2,000,000 patients annually. UHB is recognised nationally and internationally for quality of care and has a £545m Private Finance Initiative (PFI) new hospital building which opened on time and on budget in 2010. UHB hosts the Royal Centre for Defence Medicine and, with the University of Birmingham, was co-founder of Birmingham Health Partners, a partnership for health research. The National Institute of Health Research (NIHR) Centre for Surgical Reconstruction and Microbiology was opened at the Trust in 2011. UHB operates the Learning Hub, which helps long term unemployed people back into work. UHB was awarded a grant from BIS to establish a £24m Institute of Translational Medicine to rapidly develop new health technologies and contribute to economic growth of the region and country which opened in 2015. UHB is recognised for its expertise in clinical IT systems and informatics and has been named as a Global Digital Exemplar by NHS England. It is also recognised for its skills in PFI projects and education of clinical staff. The Trust is involved in several projects in countries throughout the world, including China, Pakistan, Saudi Arabia, Oman, Kuwait, Abu Dhabi, Australia, Libya, Sweden and India. In 2013 Julie visited Camp Bastion, Afghanistan to visit and present awards to clinical staff based there. Julie is a Governor of Birmingham City University and a Trustee of the Prince of Wales’s Charitable Foundation. She is a founder member and past Chair of the Shelford Group, ten leading academic hospitals in England. She was an independent member of the Office for Strategic Co-ordination of Health Research (OSCHR) from 2009 to 2015 and has been a member of the following bodies: The International Advisory Board of the University of Birmingham Business School, the Court of the University of Birmingham and the Faculty Advisory Board of the University of Warwick Medical School until 2015. In April 2011 she was asked by the Government to be a member of the NHS Future Forum to lead on the proposals for Education and Training reform and in August 2011 was asked to lead the follow up report. In September 2013, in recognition of the high quality of clinical care at UHB, Julie was asked by Secretary of State to lead a UHB team for the turnaround of two poorly performing Trusts in special measures and since helped two further trusts. 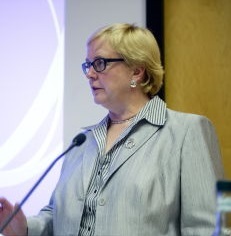 In 2014 she chaired the HSJ Commission on Hospital Care for Frail Older People and she was a member of the expert panel for the 2014 Dalton Review into New Models of Hospital Provision. In 2015 was asked by Lord Victor Adebowale to join the NLGN Commission on Collaborative Health Economies. In March 2017 she was asked to take over leadership of the Birmingham and Solihull Strategic Transformation Partnership - a partnership of health bodies and local authorities. She has spoken at numerous national and international conferences, including appearing on same programme as President Clinton in 2014, and undertaken many local, national and international interviews on TV, radio and in the press, including the Radio 4 Programmes “the Bottom Line” and “the Briefing Room”, BBC television “Newsnight” and “Panorama” and was a panel member in the Radio 3 Free Thinking Festival in 2013. She regularly talks about leadership to a wide variety of audiences, including military and police officers. Julie was made a Dame Commander of the British Empire in the New Year’s Honours 2012. In 2013, she was awarded an Honorary Chair at Warwick University, was included in the first BBC Radio 4’s Woman’s Hour list of the 100 most powerful women in the UK and is included in the HSJ lists of the most influential clinical leaders and the top CEOs and a national LGBT role model in health. She has Honorary Doctorates from the University of Birmingham, Birmingham City University and Oxford Brookes University. In 2018 she was appointed as Honorary Professor at Zhengzhou University, Henan Province, China and Honorary President of Guiqian International Hospital, Guiyang, Guizhou Province, China. Julie has announced her intention to retire from the National Health Service in September 2018. She will take up a post as Professor of Health Systems at Warwick University and continue to contribute to national and international work. 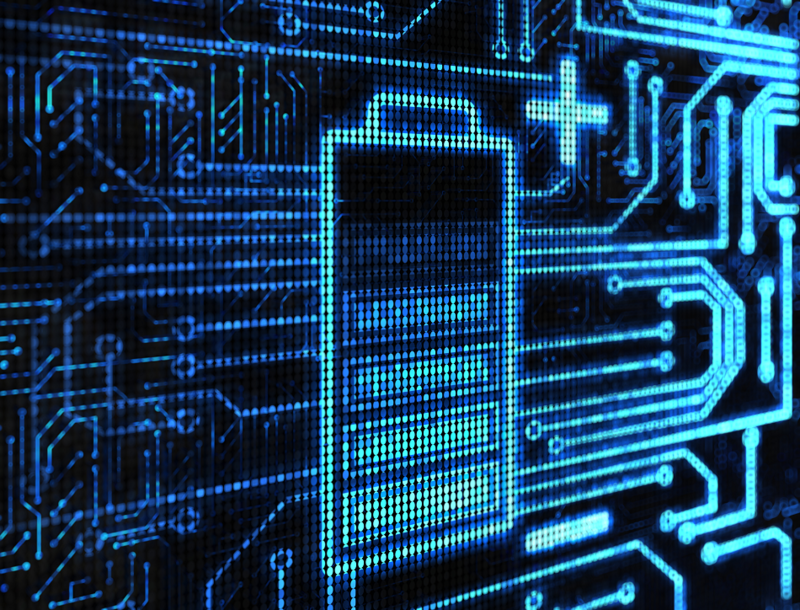 This conference aims to bring together national and international leaders in energy storage systems. 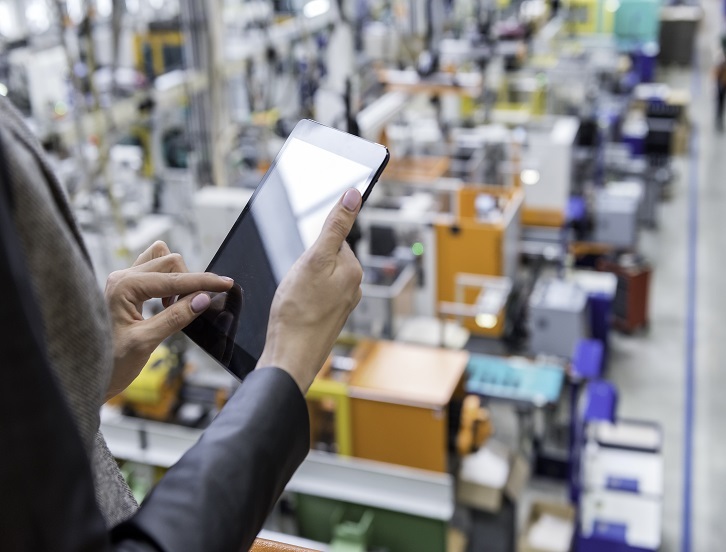 This Transforming our future series conference will look to the future, considering the potential benefits and challenges of Internet of Things technologies. 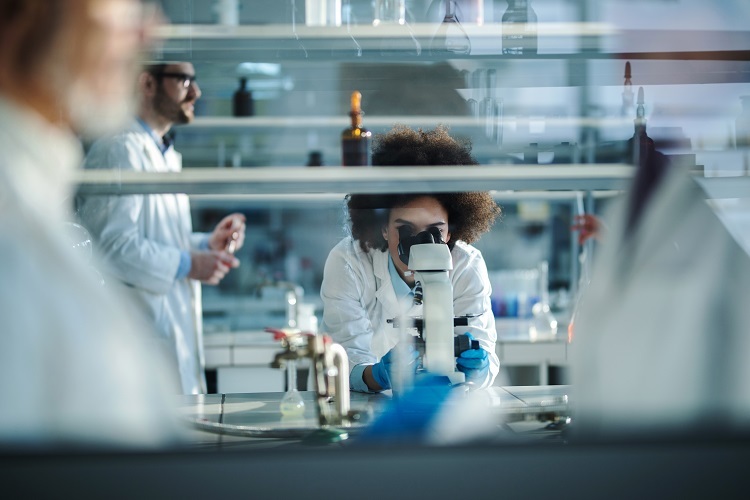 A joint Royal Society Transforming our Future conferences in the life sciences, supported by AstraZeneca, with the Academy of Medical Sciences FORUM.